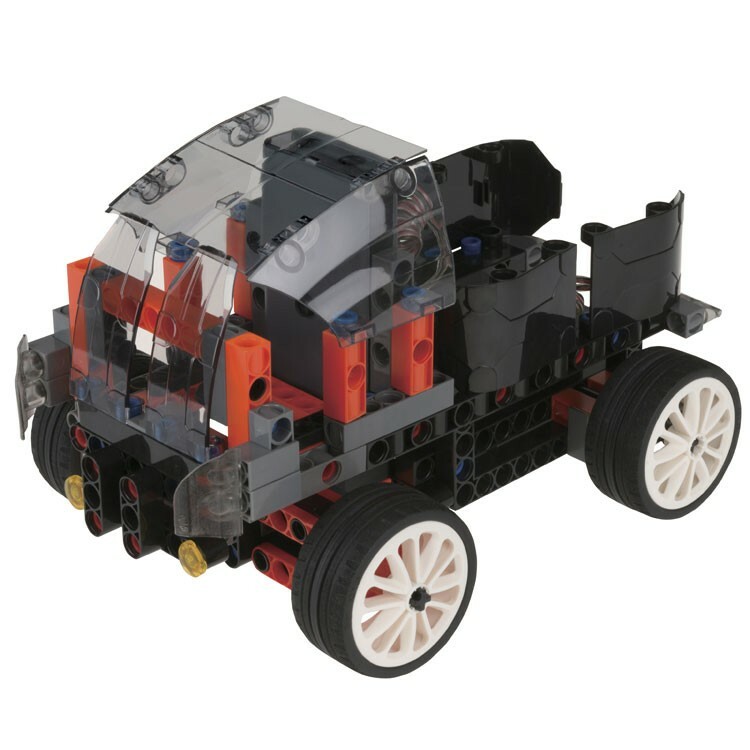 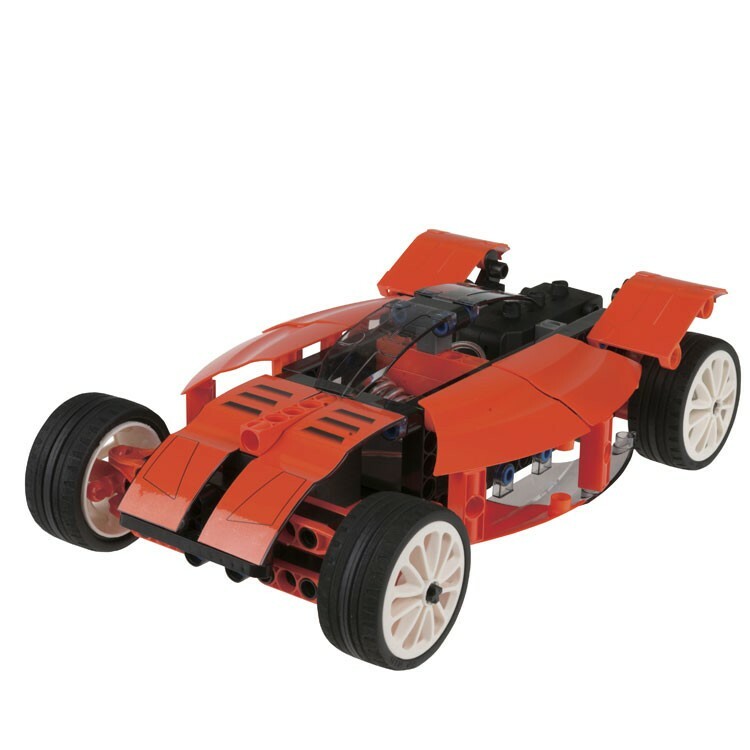 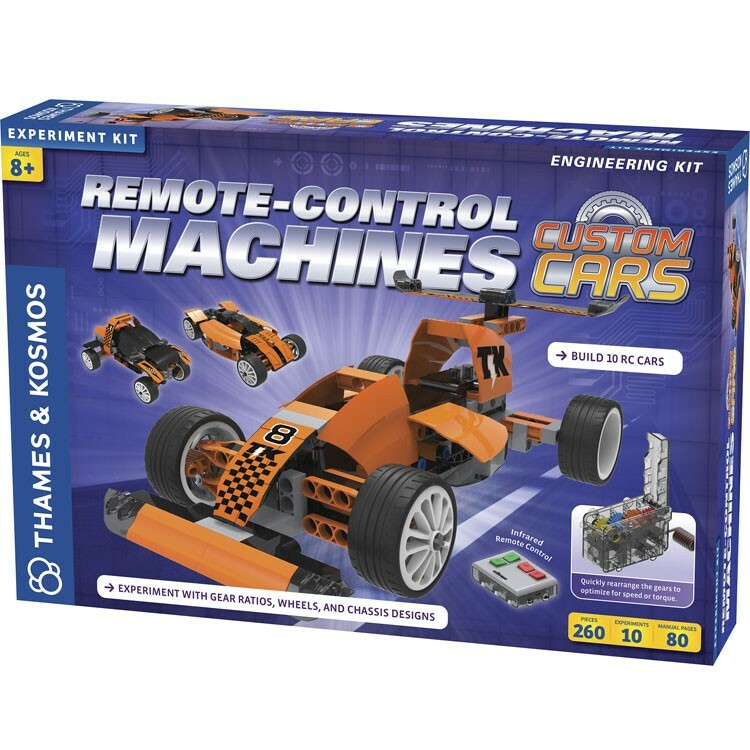 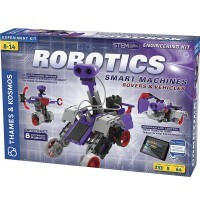 This latest addition to Thames & Kosmos' Remote Control Machines science kits is designed for the young automotive engineers to build 10 realistic car models and get excited about STEM education. 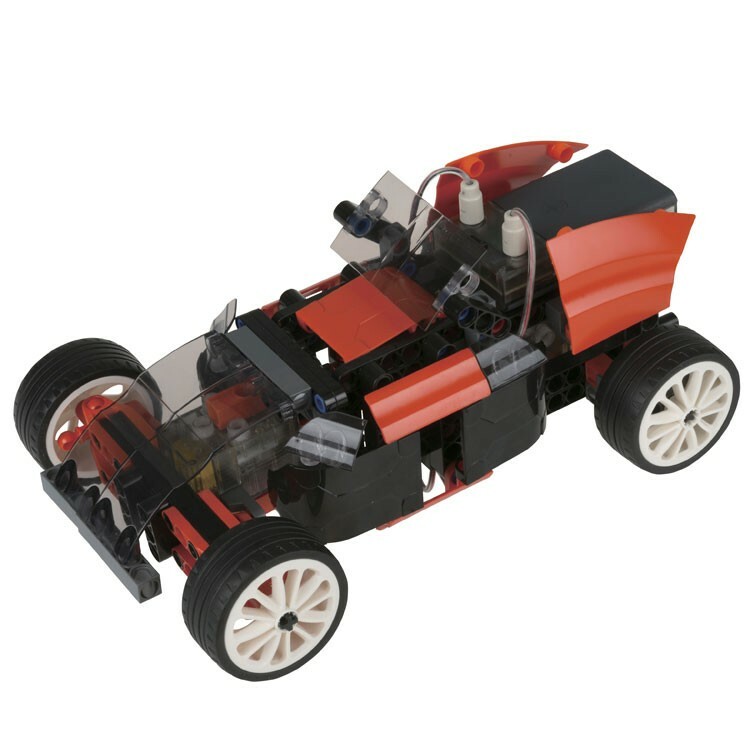 Concept car engineers of the future, you are on a mission to design, construct, experiment and succeed! 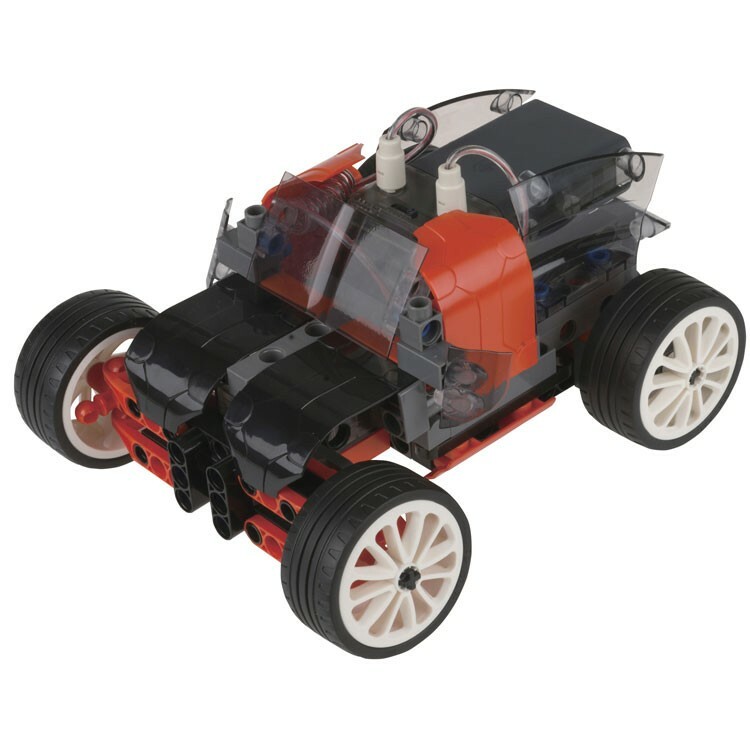 Plus you can have tons of building and learning fun with this new automotive engineering kit for children. 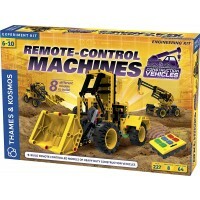 Remote Control Machines Custom Cars Building Science Kit lets the young scientists build 10 different RC vehicles. The kids engineering kit includes 260 parts and 80-pages step-by-step instructions to build remote controlled cars. 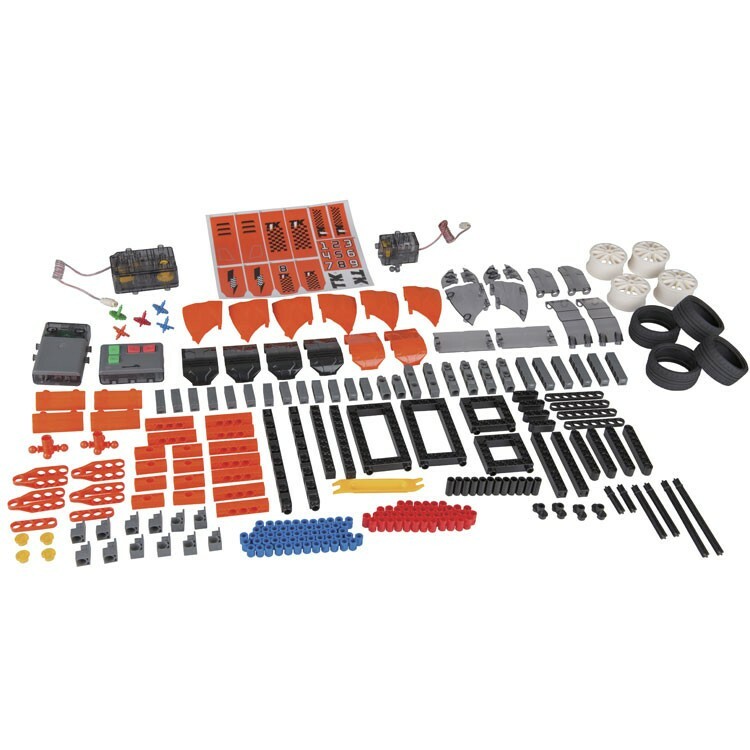 With the innovative gearbox, IR receiver, motor units, and the battery box, all enclosed in this kit, kids can shift gears from low speed and high torque to high speed and low torque. 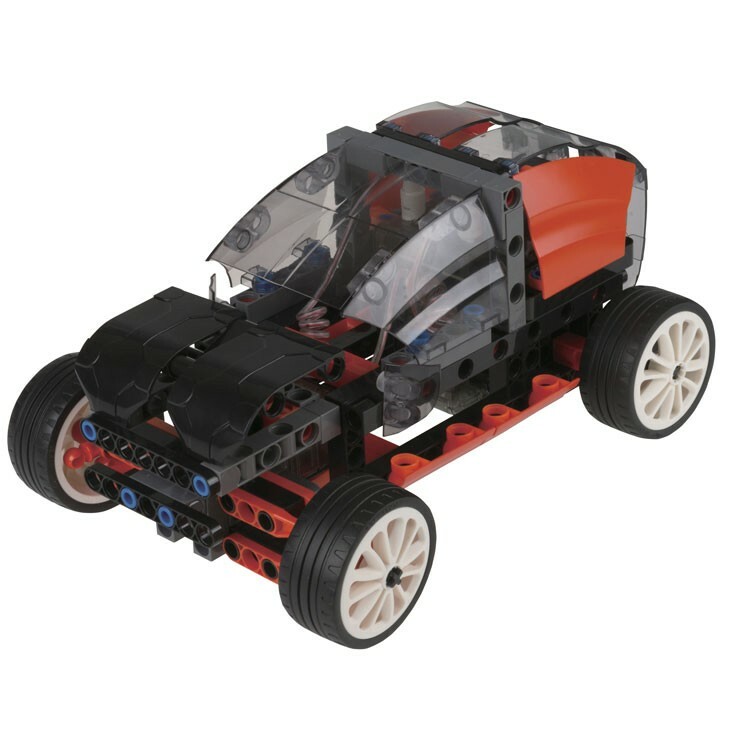 The transmission, inside the gearbox features 4 gears that can be easily reoriented to change the gear ratio, optimizing speed or torque. 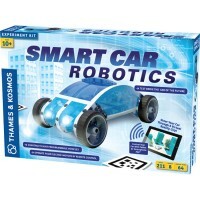 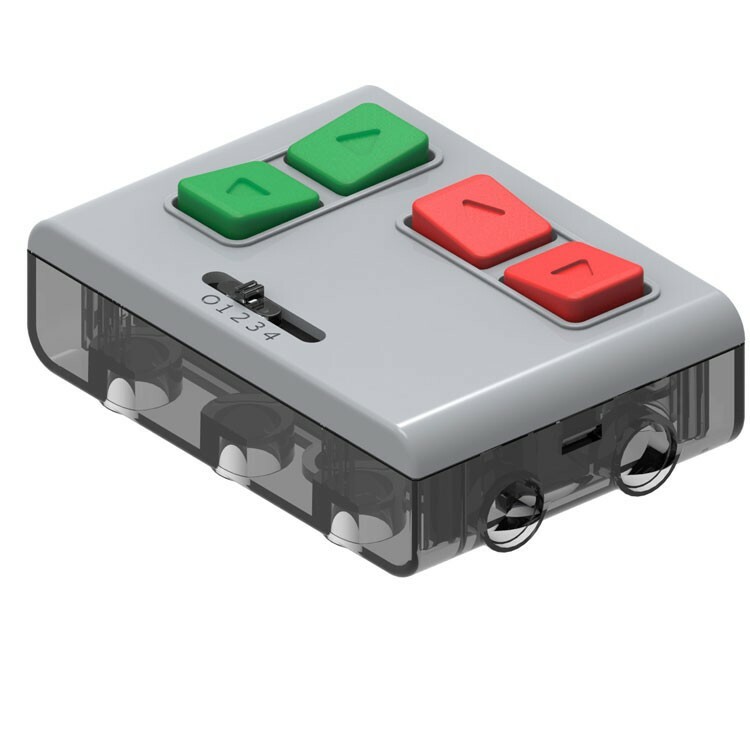 The IR remote control unit in this Educational Toys Planet's science kit lets the cars go forward and backward, left and right. 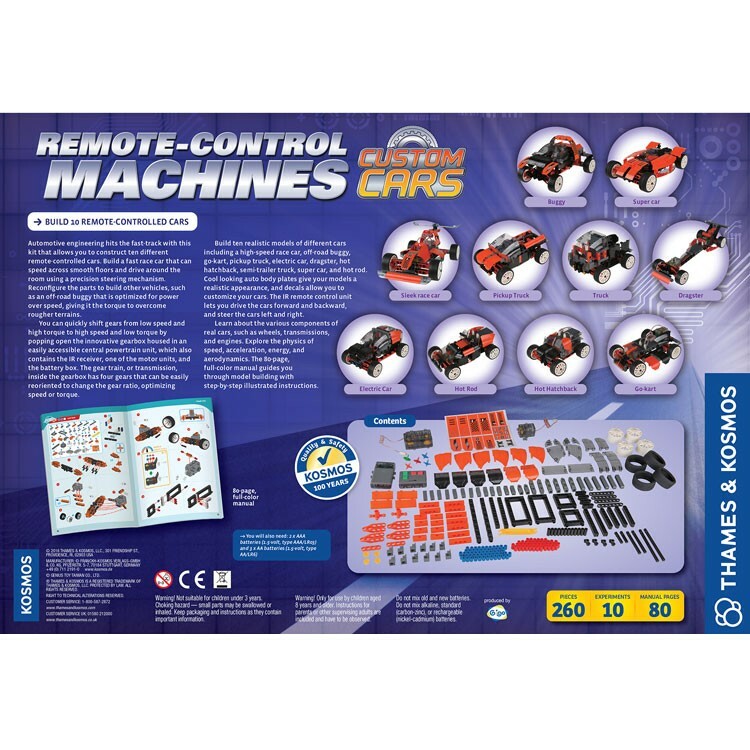 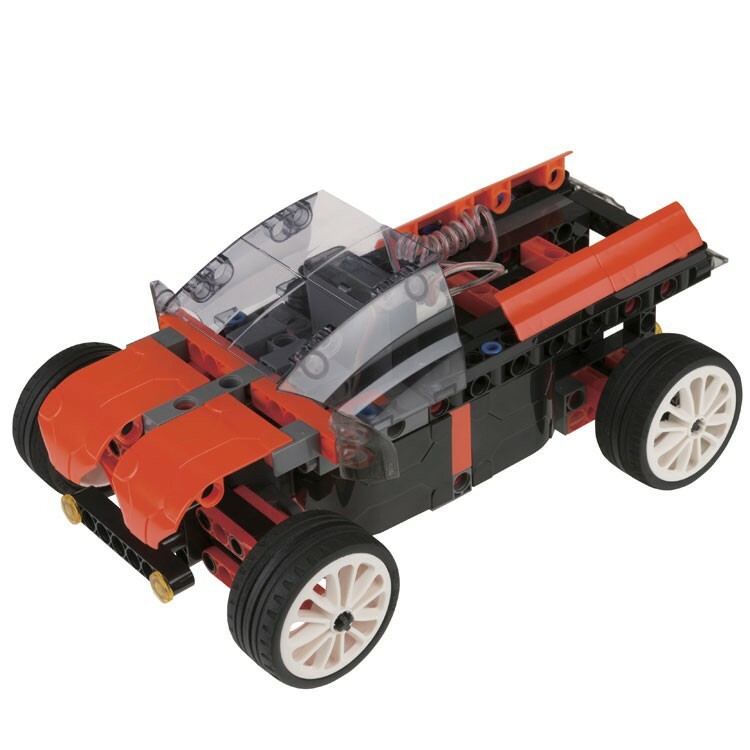 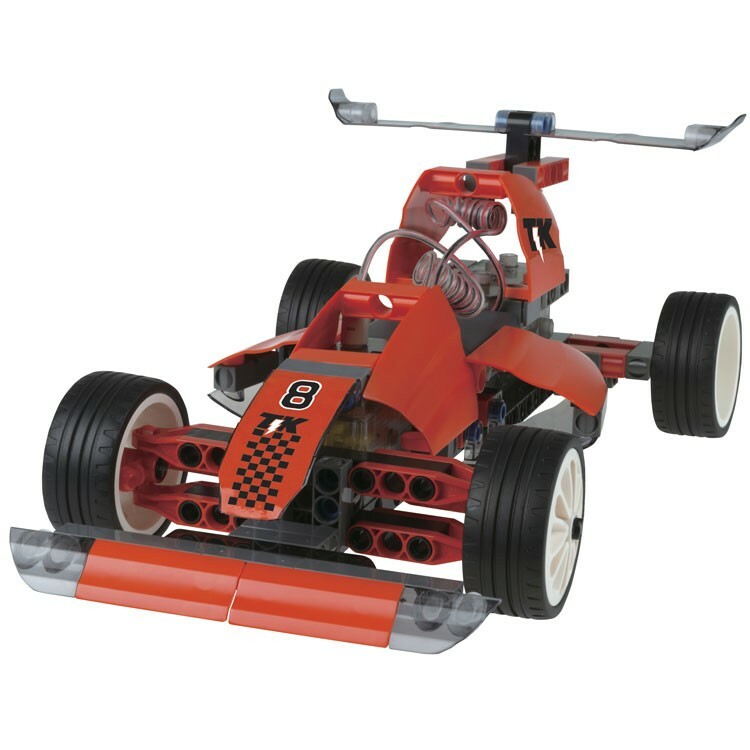 Remote Control Machines Custom Cars Building Science Kit allows kids to construct the realistic models of a high-speed race car, off-road buggy, go-cart, pickup truck, SUV, dragster, hot hatch, semi-trailer truck, super car, and hot rod. 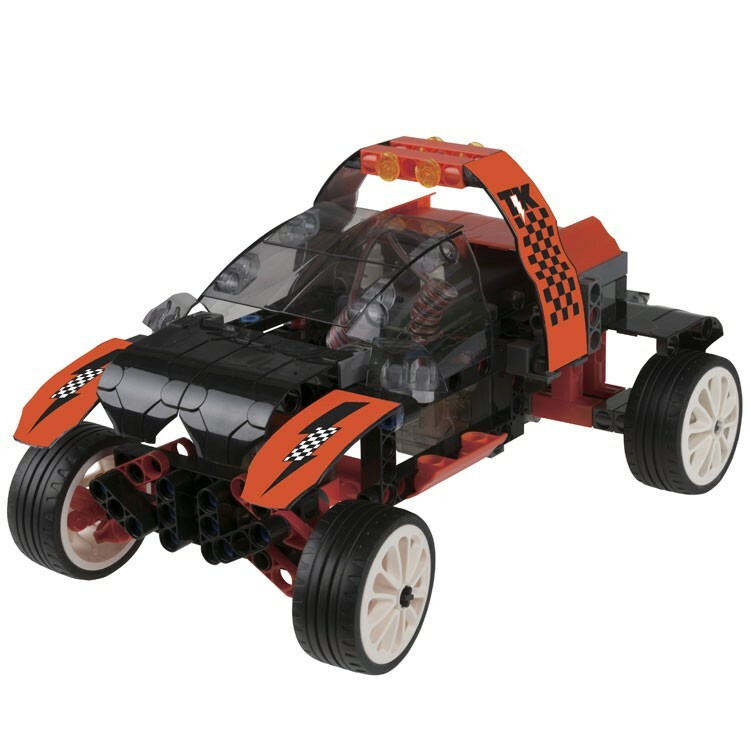 Sleek auto body plates give your models a realistic design, and enclosed decals allow children to add colorful custom touch to their models. 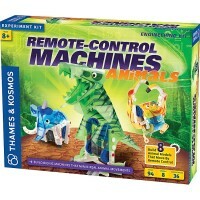 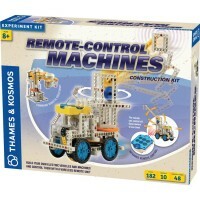 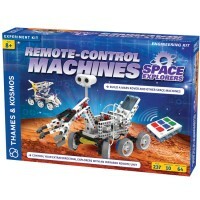 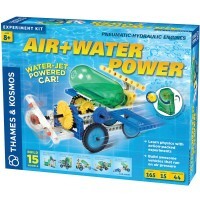 This superbly made engineering set by the award-winning German toy maker, Thames & Kosmos, is a great STEM education promoter. 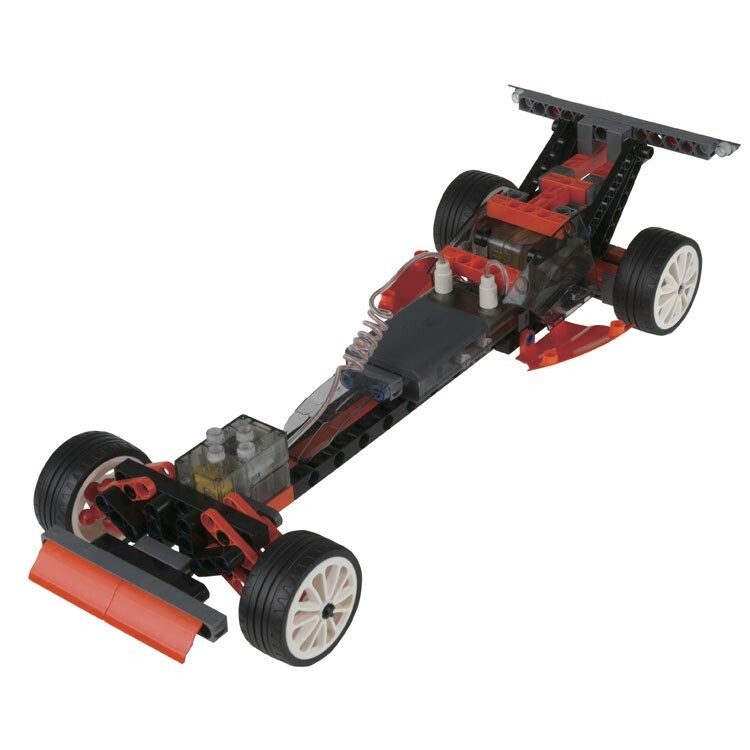 The young builders will learn about the various components of real cars, such as wheels, transmissions, engines, axles, chassis, electrical systems, brakes, and suspensions. 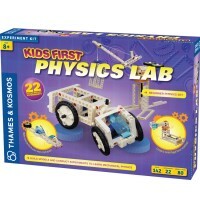 As they build the car models, kids will explore the physics of speed, acceleration, energy, and aerodynamics. 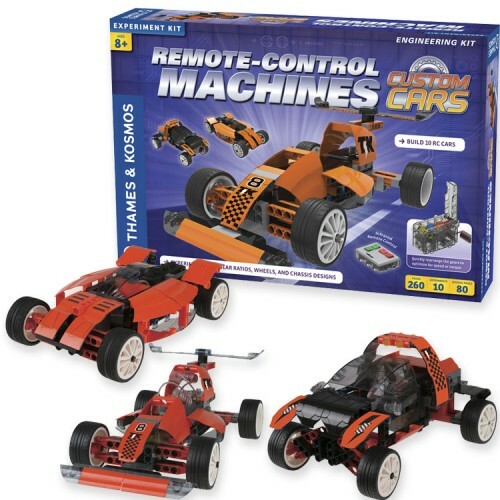 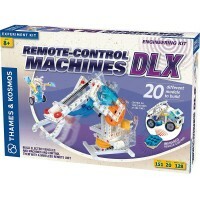 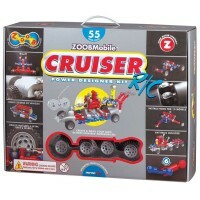 Write your own review of Remote Control Machines Custom Cars Building Science Kit.